The generator is used to power up to 10 refrigerated containers at a time. Hydrogen fuel cells have a long track record of supplying efficient, clean power for a wide range of applications, including forklifts, emergency backup systems, and vehicles. An analysis by Sandia and DOE showed that due to fluctuating loads in maritime auxiliary power applications, a hydrogen fuel cell, which follows the load, is more energy efficient than a diesel engine. A hydrogen fuel cell only supplies power when it is needed. The Maritime Hydrogen Fuel Cell Project is a demonstration of this analysis in a commercial port setting. 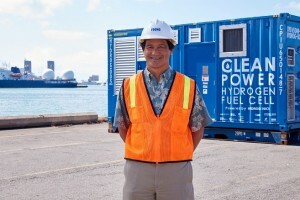 Hosting the technology fits in with Young Brothers’ core value of environmental stewardship, Young Brothers President Glenn Hong, shown here at the Honolulu Harbor facility. The project began its field trials in August 2015 with a six-month deployment hosted by Young Brothers Ltd., a subsidiary of Foss Maritime Co., at its facility in the Honolulu Harbor. The U.S. Department of Energy’s Fuel Cell Technologies Office and the U.S. Department of Transportation’s Maritime Administration are cofunding the pilot. The pilot hydrogen fuel cell unit will replace a diesel generator currently used to provide power for refrigerated containers on land and on transport barges. 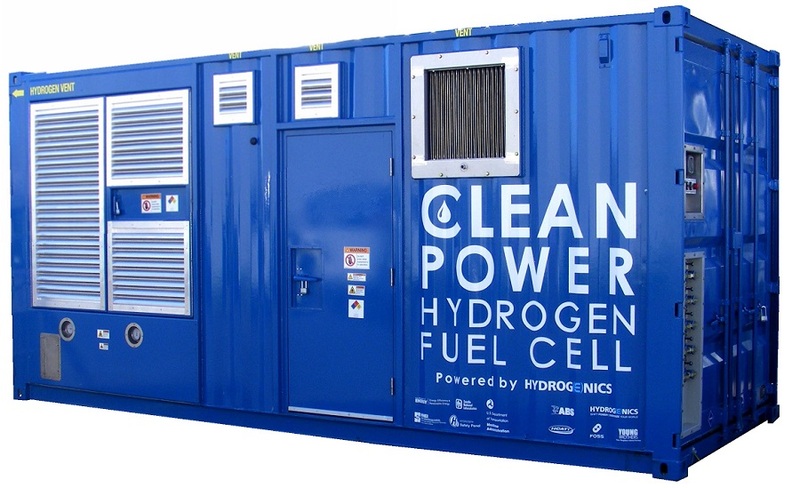 Hydrogenics Corp. designed and manufactured a containerized 100-kilowatt hydrogen fuel cell unit, which includes the fuel cell engine, a hydrogen storage system, and power-conversion equipment. Built into a standard shipping container, the unit has an outward appearance and functionality similar to maritime diesel generators that are currently in use. 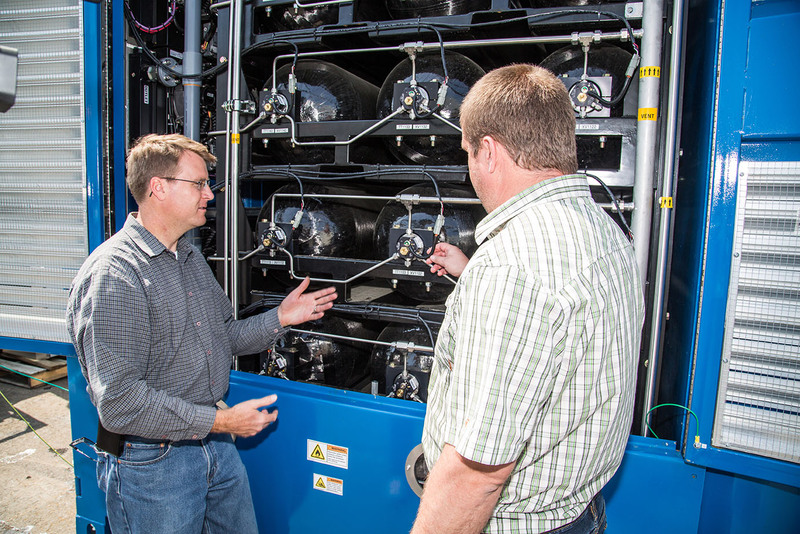 Hydrogenics Project Engineer Ruslan Kosyan, right, and Sandia Project Manager Joe Pratt, left, examine the hydrogen storage system within the fuel cell unit. As the primary interisland shipper of goods within Hawaii, Young Brothers Ltd. has a strong environmental and financial interest in the project. 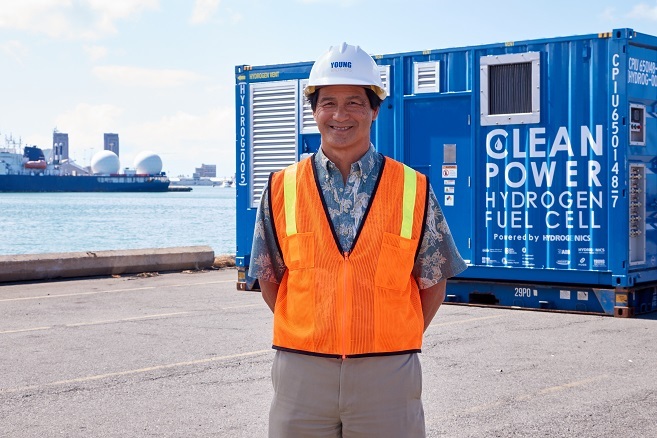 After initially using the hydrogen fuel cell unit on land, Young Brothers Ltd. will deploy the unit to power refrigerated containers onboard barges traveling between the Honolulu and Kahului harbors. During the six-month deployment, performance feedback and data will be collected to determine the environmental, energy, and cost savings from the hydrogen fuel cell unit. Sandia will analyze the operational, safety, and cost performance data to develop a business case for using hydrogen fuel cells at other commercial ports. In addition, the safety aspects and feedback from the unit’s design and operation may guide regulators toward formal codes and standards for hydrogen and fuel cells in maritime applications, thereby increasing the likelihood of this clean-energy technology being adopted for maritime use. Major commercial ports can produce daily emissions equal to those of half a million cars or more. To combat these environmental impacts, many US ports have begun to adopt green practices. Hydrogen fuel cells have the potential to meet the electrical demands of vessels in ports, as well as supply power for other port uses, such as yard trucks, forklifts, and other materials-handling specialty equipment. If implemented, hydrogen fuel cells, which produce zero pollutant emissions and no greenhouse gases at the point of use, can reduce the overall amount of diesel or other maritime fuel used. 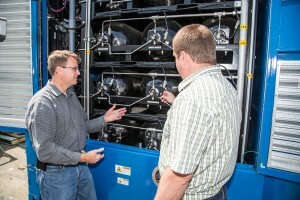 In addition to serving as the overall project leader and coordinator for the 12-partner team, Sandia is providing unique expertise in hydrogen materials, systems, risk analysis, and codes and standards development. Sandia is also responsible for hydrogen supply and delivery coordination and will conduct independent technical and business-case analyses. As the primary project partners, Sandia, Young Brothers Ltd., and Hydrogenics Corp. have all contributed significant time and/or equipment to the Maritime Fuel Cell Project at their own cost. 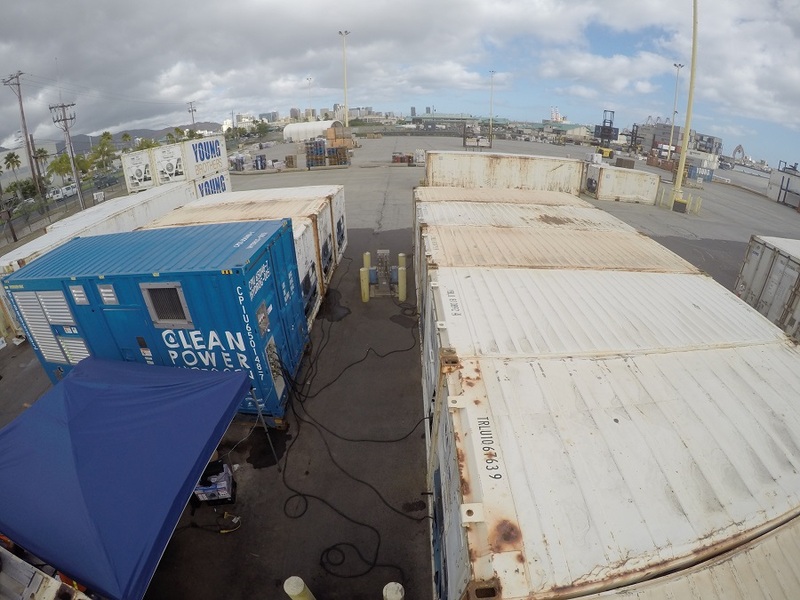 In addition, the DOE’s Hydrogen Safety Review Panel, the US Coast Guard and its local Sector Honolulu office, and the American Bureau of Shipping are independently reviewing the safety aspects of the project’s design and operating plans. These entities view the Maritime Fuel Cells Project as a step toward formal regulations for hydrogen and fuel cells in maritime applications.